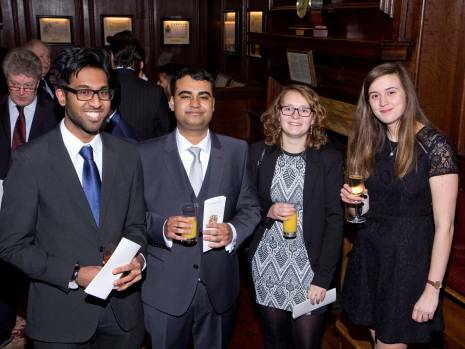 Twelve medical students from Barts and The London School of Medicine and Dentistry enjoyed supper at the Hall, which was hosted by the Master on Thursday 8 March. 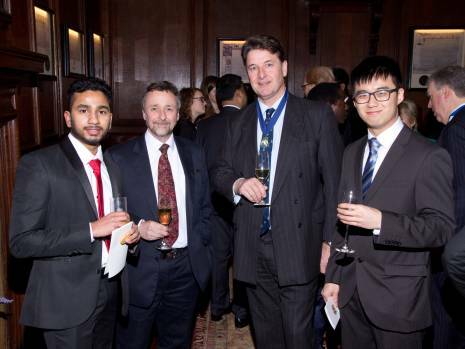 The supper was also attended by members of the Company, including some who had previously received Barts awards, and staff from Barts. The students are studying for intercalated degrees in specialist subjects such as global public health, experimental pathology and regenerative medicine. Intercalating provides an opportunity to focus on a particular area of medicine, carry out cutting-edge research and gain an extra qualification. However, it does mean an extra year of studies which can be prohibitively costly. The Tallow Chandlers Benevolent Fund, with the Anya Sturdy Charitable Trust, awards annual bursaries to help intercalating students with these extra costs. There is also a special bursary – the Ensor/Zochonis Award – for an intercalated degree in oncology or neuroscience, awarded purely on merit.